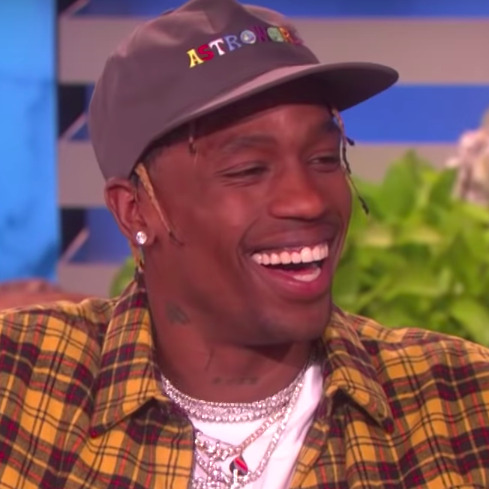 After kicking off his Astroworld Tour last week, Travis Scott made a pit stop in L.A. to perform “Sicko Mode” on The Ellen DeGeneres Show, of all places. He didn’t bring his onstage ferris wheel for the visit, but what the performance lacked in props, pyrotechnics, and Drake, Trav made up for with a flashing blue light display and plenty of infectious energy. The 26-year-old also hilariously described his first delivery room experience, which involved Kris Jenner (or “Mama KJ,” as Trav calls her) helping him handle his fear of placenta and cut the umbilical cord. Check out Travis’s full interview with Ellen — during which he also discusses his love of Broadway musicals — below.